have to make things up to confirm their case. There is openly-presented information such as this from the 2009 Annual Report of the National Endowment for Democracy. This is, naturally, only what is publicly admitted to. To promote a culture of democracy and dialogue among important actors in Cuba and in the diaspora. Encuentro will promote discussion on Cuban politics and will work to diminish the isolation of independent Cuban activists and to protect them against political repression. Encuentro will continue to publish its journal and encourage participation of non-traditional actors in Cuba and internationally in online discussions through its web-based daily newspaper. To engage civil society, governments, and public officials in Latin America to support pro-democracy actors and human rights advocates in Cuba. Beginning in Argentina, Chile, Peru and Uruguay, CADAL will establish a network of civil society organizations committed to aiding democratic actors in Cuba. CADAL’s network will engage Latin American civil society and public officials about the need to support and raise awareness of pro-democracy initiatives for Cuba. *To enhance the professionalism of Cuban independent journalists and increase the free flow of information in Cuba and about Cuba. Building on previous work and training activities with independent journalists in Cuba, PIN will continue its long-distance internship program between 10 major Eastern European media outlets and independent Cuban journalists. PIN will also develop professional associations of independent journalists in Cuba. *To strengthen support for independent unions in Cuba among partners in Latin America and Europe, to promote the release of imprisoned union leaders in Cuba through a domestic and international support campaign, and to increase knowledge about the activities of the Confederation of Cuban Workers, Cuba’s official state-run union. CFTU will seek out new opportunities to support independent unions in Cuba. *To strengthen the organizational capacity of Cuba’s pro-democracy youth movement and its ability to communicate with Cubans and the international community. Directorio will establish links between the youth movement and traditional pro-democracy activists, with the goal of creating a broad-based coalition for democratic change in Cuba. Lastly, Directorio will continue to produce radio programming aimed at breaking the information blockade that Cubans face. To strengthen independent news and reporting about the situation in Cuba for both Cuban and international audiences. CubaNet will generate independent media content about the situation in Cuba, which it will publish electronically. 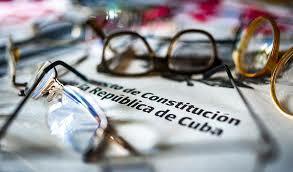 CubaNet will also provide Cuban independent journalists with humanitarian assistance and technical support. Lastly, CubaNet will conduct an international solidarity campaign to raise awareness about the situation of Cuba’s independent journalists. To increase free access to information in Cuba. Disidente will provide a source of independent information. Disidente will publish its journal, Disidente Universal, containing articles and editorials from activists in Cuba, exiled dissidents, international news organizations, and activists living on the island who are unable to publish their work in state-run media. To strengthen the organizational capacity and mobility of the independent labor union movement and to support its activists through humanitarian assistance. GIRSCC will promote international solidarity for workers and independent labor leaders in Cuba. GIRSCC will continue an innovative initiative to reach out to businesses that have investments in Cuba in order to promote the adoption of corporate social responsibility in their work in Cuba. To support the emerging informal education sector and the spread of unbiased information. Since 2005, PIPA has supported independent educators to create a curriculum to enhance the critical thinking skills of Cuban youth and young adults. To encourage independent thinking, creativity, and the use of new pedagogical methods in the informal education system in Cuba, PIPA will continue to support the use and improvement of this curriculum.